Advertising solution provider for driving attendance, revenues, and engagement at live events. 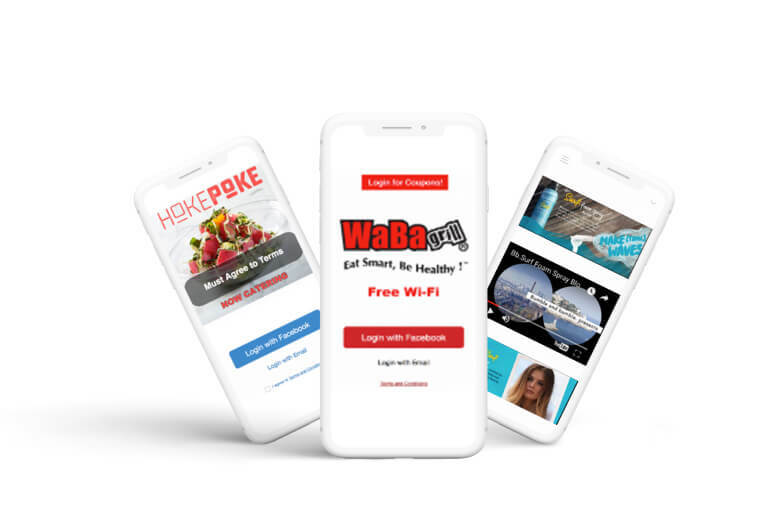 The customer provides services for the development and connection of Wi-Fi portals, distribution of advertising messages. The client also provides an analysis of network users in order to identify the target audience and provide improved customer service and promotional mailings. AD STUDIO was necessary to develop a new Wi-Fi portal, which allowed do send users marketing campaigns and advertising information during connection. The portal also should allow analyzing user profiles to determine the target audience. For this purpose, they’ve decided to complete a team of in-house developers with professional and skillful engineers from Computools. During the discussion of the project, we’ve offered several rational solutions using the latest developments. Business process mapping was completely designed and offered by the client. However, during the discussion, our team have influenced to make several important changes. The stack of technologies required for this project was predetermined by the customer. The team of our developers used the specified technologies and added original solutions. At the end of the discussion, the Project Manager wrote tasks for the performers. We have started the implementation of five different email distribution services. The stack of technologies for this project was predetermined by the customer. However, the Computools developers were free to choose the most optimal solutions based on their experience and knowledge. 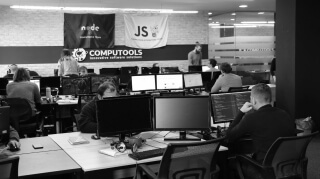 Node.js provide better efficiency and overall developer productivity, code sharing and reuse, speed and performance, easy knowledge sharing within a team, a huge number of free tools. It makes the development processes more flexible and less time-consuming and as a result, the customer gets fast and reliable software. In addition to the road map, we developed a specification that allowed us to take into account all the requirements of the client and complete the task on time. Goal: Wi-Fi portal, which allowed do send users marketing campaigns and advertising information during connection. The portal also should allow analyzing user profiles to determine the target audience. For this purpose, we needed to connect various email distribution services. 1. Development of a road map, dividing the development process into parts. 2. Definition of terms for each stage. 3. Implementation of the first email distribution services. 4. Testing and troubleshooting. 5. The implementation of the second email distribution services. 6. The implementation of the third email distribution services. 7. Implementation of SMS-mailing service. 8. Portal testing, troubleshooting. 9. Providing customer support for the portal. 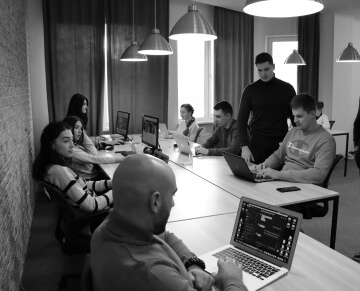 With the help of services connected by us, marketing information and advertising were distributed to users. Trying to meet all customer requirements, we form a team of professionals with the necessary skills and knowledge. For this project, we've chosen experienced developers, Project Manager and a Team Lead, who were able to finish the work on time. The application development process flows more active and fast if it is properly organized. Our company uses the latest technology for brainstorming, sharing experiences and ideas. Thanks to this, our teams are so effective and efficient. The brainstorming sessions help our engineers to find a really innovative solution. They stimulate creative activity and each participant has an opportunity to offer as many options as possible, including the most fantastic ones. It helps to hit the necessary ideas and solutions. 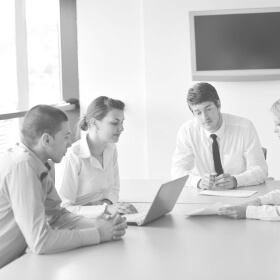 After finishing a large part of the work we conduct team discussions and arrange feedback sessions. 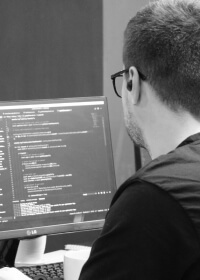 Thanks to exchanging opinions and emerging ideas, our developers find truly innovative solutions, improving their personal efficiency and the efficiency of the entire team. The process of internal communication is the basis for successful completion of the task. Working on the project, we use the most convenient ways of setting and monitoring tasks. 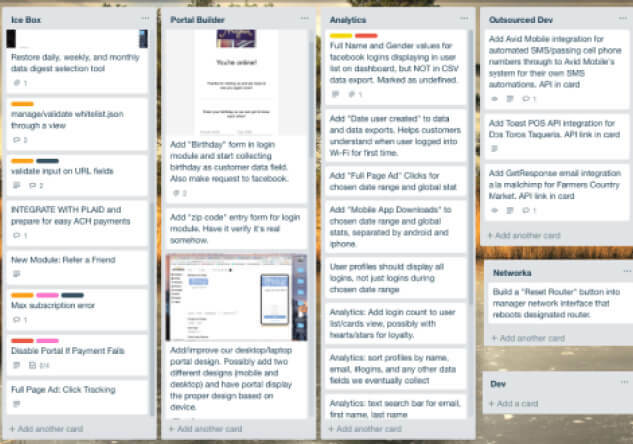 For this project, Trello was chosen, as it is ideal for projects of such complexity and duration. In addition, Skype was used to solve simple issues, which also allows holding short conferences and discussions in real time. Scrum was chosen as one of the most effective application development methodologies to date. The numerous advantages of this methodology make it effective and convenient. In addition, the use of Scrum increases the productivity of the whole team, allows to easily and quickly identify errors in the work, slipping on time and to eliminate them. Dividing the development process into stages with short periods and daily reports makes the task execution easy and quick. Scrum also managed to prove its efficiency and productivity for performing urgent tasks with short sprints and tight deadlines. It allows not only to accelerate all processes, but also to save the customer’s funds. Development of a road map, dividing the development process into parts. Implementation of the first email distribution services. The implementation of the second email distribution services. The implementation of the third email distribution services. Providing customer support for the portal. The development was divided into 5 short stages (releases). On each next stage, we worked on the new integration of the email service. Each stage also included API rewriting, work with the database, the service integration itself, testing. Thanks to the chosen method, we were able to complete all the tasks on time. Since this is not a new product for our client, education or development of training documentation or videos were not required. However, we are always ready to help our clients and maintain the apps. Working on the project, we clearly followed the plan developed at an early stage. Using the latest technologies, solutions, and methodology, we improved the efficiency of the team and were able to perform all the tasks on time. It also allowed us to meet the client's budget precisely. The result of close cooperation with the in-house IT Department of the client and our developers became a full-fledged Wi-Fi portal, which sends advertising information to customers and collects data for analyzing the target audience.